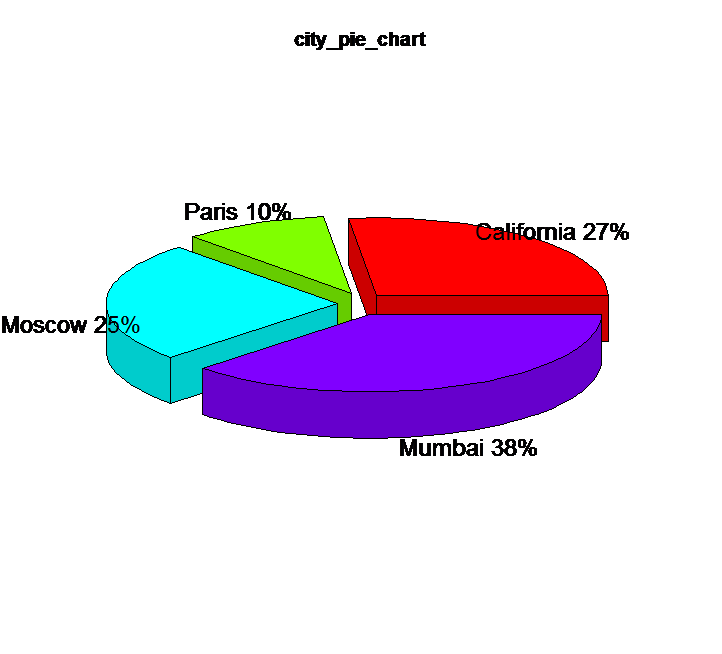 R pie chart is created using the pie() function which takes positive numbers as a vector input. 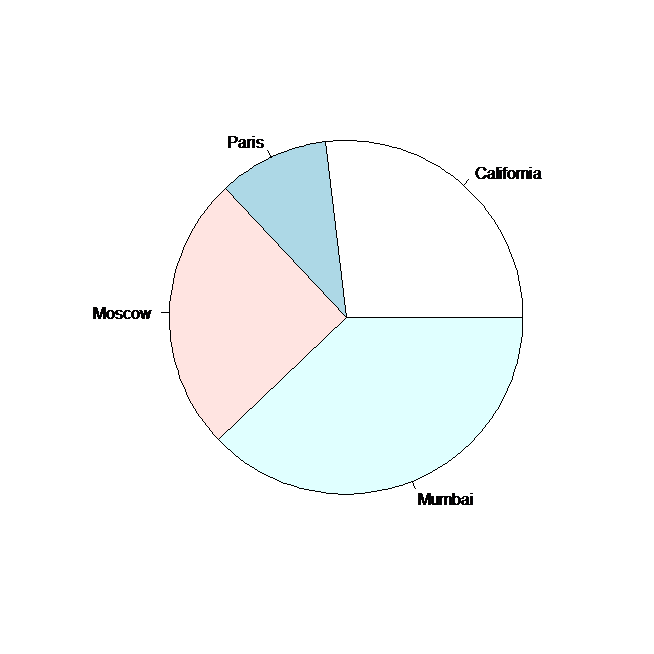 The additional parameters are used to control appearance of pie charts in R are labels, color, title etc. 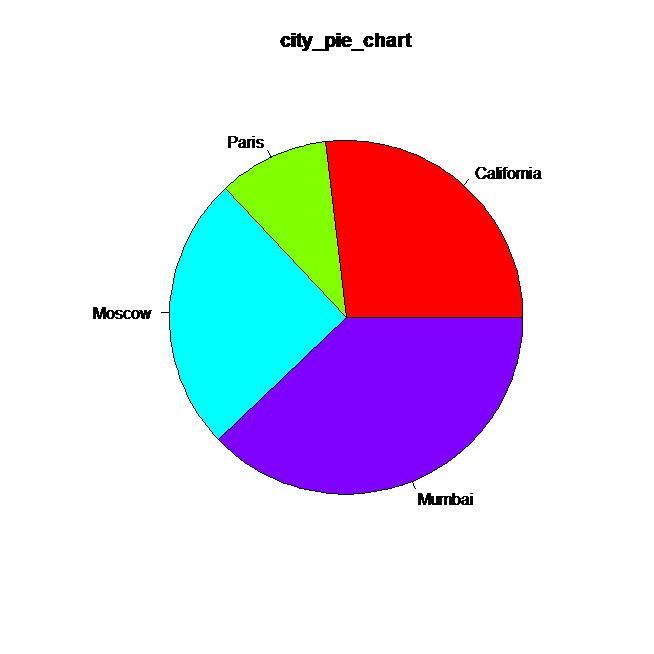 radius indicates the radius of the circle of the pie chart. (value between -1 and +1). The package plotrix has a function called pie3D() that is used for plotting a 3D Pie chart in R.